By Ian Mitroff, Palgrave McMillan, New York, 2018. The recent data controversy with Facebook highlights that the tech industry as a whole was utterly unprepared for the backlash it faced as a result of its business model of selling user data to third parties. Despite the predominant role that technology plays in all of our lives, the controversy also revealed that many tech companies are reactive, rather than proactive, in addressing crises. 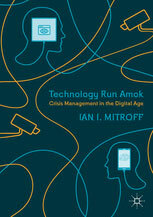 This book examines society’s failure to manage technology and its resulting negative consequences. Mitroff argues that the “technological mindset” is responsible for society’s unbridled obsession with technology and unless confronted, will cause one tech crisis after another. This trans-disciplinary text, edgy in its approach, will appeal to academics, students, and practitioners through its discussion of the modern technological crisis. Everybody’s Business: Reclaiming True Management Skills in Education, with Murat Alpaslan and Ellen O’Connor, Palgrave McMillan, New York, 2014.
Business Strategies for a Messy World: Tools for a Systemic World, with Vince Barabba, Palgrave McMillan, New York, 2013. Rethinking the Education Mess: A Systems Approach to Education Reform, with Lindan Hill and C. Murat Alpaslan, Palgrave McMillan, New York, 2013. 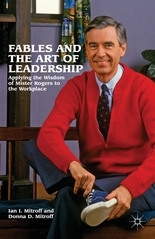 Fables and the Art of Leadership: Applying the Wisdom of Mister Rogers to the Workplace, with Donna Mitroff, Palgrave Macmillan, New York, 2012. Swans, Swine, and Swindlers: Coping with the Growing Threat of Mega-Crises and Mega-Messes, with Can M. Alpaslan, Stanford University Press, Palo Alto, 2011. Dirty Rotten Strategies: How We Trick Ourselves and Others into Solving the Wrong Problems Precisely, with Abraham Silvers, Stanford University Press, Palo Alto, 2009. Why Some Companies Emerge Stronger And Better From A Crisis: Seven Essential Lessons For Surviving Disaster, AMACOM, New York, 2005. Crisis Leadership: Planning for the Unthinkable, John Wiley, New York, 2003. Managing Crises Before They Happen: What Every Executive Needs to Know About Crisis Management, with Gus Anagnos, AMACOM, New York, 2000. A Spiritual Audit of Corporate America: A Hard Look at Spirituality, Religion, and Values in the Workplace, with Elizabeth A. Denton, Jossey-Bass, San Francisco, 1999. The Essential Guide to Managing Corporate Crises: A Step-By-Step Handbook for Surviving Major Catastrophes, with Christine M. Pearson and L. Katharine Harrington, Oxford University Press, New York, 1996. Framebreak: The Radical Redesign of American Business, with Richard O. Mason and Christine M. Pearson, Jossey-Bass, San Francisco, 1994. Crisis Management: A Diagnostic Guide for Improving Your Organization’s Crisis-Preparedness, with Christine M. Pearson, Jossey-Bass, San Francisco, 1993. The Unbounded Mind: Breaking the Chains of Traditional Business Thinking, with Harold Linstone, Oxford University Press, New York, 1992. Transforming the Crisis-Prone Organization: Preventing Individual, Organizational, and Environmental Tragedies, Thierry Pauchant, with Ian I. Mitroff, Jossey-Bass, San Francisco, 1992. We’re So Big And Powerful Nothing Bad Can Happen To Us: An Investigation of America’s Crisis-Prone Corporations, with Thierry Pauchant, Birch Lane Press, New York, 1990. Break-Away Thinking: How To Challenge Your Business Assumptions (And Why You Should), John Wiley, New York, 1988.
Business Not As Usual: Rethinking Our Individual, Corporate, and Industrial Strategies for Global Competition, Jossey-Bass, San Francisco, 1987. Corporate Tragedies, Product Tampering, Sabotage, and Other Catastrophes, with Ralph Kilmann, Praeger, New York, 1984. Stakeholders of the Organizational Mind: Toward A New View of Policy Making, Jossey-Bass, San Francisco, 1983.